Twenty-something year old Andy Lyon did not just go on any hike. He set out to hike the Pacific Crest Trail — a 2,650 mile trail that winds its way from Mexico to Canada through California, Oregon, and Washington. This is a huge undertaking for any hiker and a boldly audacious one for a young man who knows he only has months to live and whose health is rapidly deteriorating. Lyon was first diagnosed with cancer while studying astro-physics at the University of California at Berkeley. His first round of chemo seemed to work, but the following year a PET-CT scan revealed the cancer had returned at Stage 4, dropping his chances of survival. Over the coming months the cancer aggressively spread throughout his body. Prognosis. Two years. With no time to waste, Andy outfitted himself with ultralight backpacking gear and took his first steps on the PCT on April 7, 2012. “I knew that … whatever happened on the trail, even if I died on the trail, that would be the right thing. That would be my time and place to go, and what better way to go than on an amazing mountain?” And what an amazing attitude. No whining or complaining. Just a determination to redeem what little time he had left on the planet. The trek was not easy for Andy. When he was only 350 miles away from the end of his epic adventure, his right leg began to collapse under him. He had no choice but to leave the trail and go to the nearest hospital in Yakima, Washington. A full battery of tests revealed a large mass pressing on his spine — a new tumor that was responsible for the weakness and numbness in his right leg. After completing a round of chemo treatment at the hospital in Yakima, Andy hit the trail for the final push to Canada. 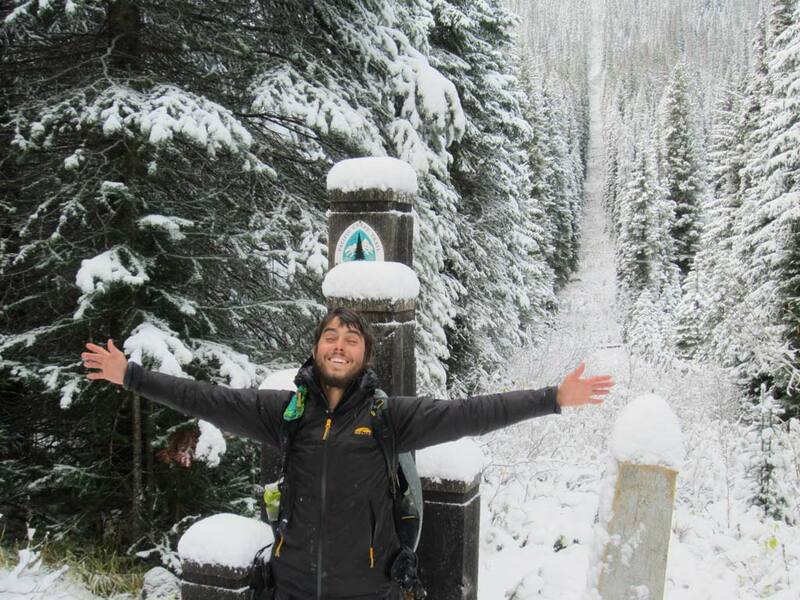 On October 19, 2012, Andy woke up, packed his backpack, and hiked the final fifteen miles to the forest clearing with a wooden monument marking the end of the trail. At 5:00 PM Andy approached the monument, leaned in, and kissed it. He had made it. On August 30, 2013, ten months after completing his thru-hike of the Pacific Crest Trail, Andy’s mother woke him up to watch the dawn. This was Andy’s last sunrise. His remarkable and audacious undertaking will continue to inspire many others who will hike the Pacific Crest Trail for years to come. And his story should inspire us to wring as much life as we can from every single day.